Torrent file a.k.a. metainfo is a computer file which contains metadata about folders and media files to be distributed in peer to peer (P2P) file sharing over the internet. In recent years online streaming services have emerged as one of the best destinations for entertainment seekers all across the world, but downloading games, movies, TV shows from the torrent sites will never go out of the line. Downloading files from torrent sites have been the most popular things since the beginning of P2P sharing. A lot of torrent sites come and shutdown over the time but some, the dedicated sites have been stuck around since a long period of time. So we have made a list of the most popular new and old torrent sites in the world. This list includes the name of some infant sites like Zooqle and iDope and old sites like The Pirate Bay and RARBG. Now, with the beginning of 2019, let’s take a look at the most used torrent sites in the present time. Also, read our in-depth guide on How To Torrent Safely. Note – we do not encourage you to use the torrent files from such sites. Downloading and distributing copyrighted contents from the torrent file is known as piracy and piracy is a legal offense. So use these sites at your own risk. 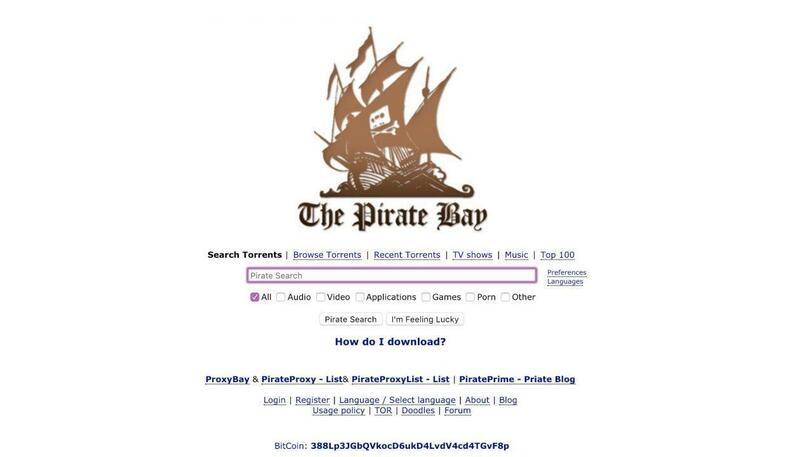 The Pirate Bay, sometimes also known as TPB is one of the best torrent sites with completing 15 years in 2018. It allows users to search, download, and contribute torrent files and magnet links, which facilitate P2P (peer-to-peer) file sharing among visitors of the BitTorrent protocol. There has been a lot of time when PirateBay has been on the eye of many nations. Due to different policies and regulation in every nation, PirateBay has been blocked in several countries, so because of this, this torrent site is being available with many other domain names. But right now it is available on its original .org domain. It is available primarily in English, Swedish and other 35 languages. Established in 2007, 1337X was widely used in 2018 was ranked higher than in previous years. It gained popularity after KickassTorrents closed down in 2016. 1337X is banned from Google search and does not bring up the original site while searching through Google search. Due to blockage in many countries, it usually changes its domain name. In recent time, in order to evade the block, the site has moved from .pl to .to, and it has a dedicated community of uploaders which regularly provides fresh content. 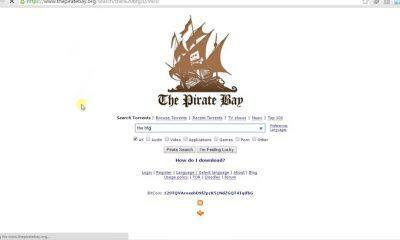 It has been touted as the best alternative to The Pirate Bay in the face of its potential demise. If you are one of the movie geeks who like to download movies online in good quality, then you must have heard the name of RARBG. rarbg has become the synonym of the qualitative movies, TV Shows, games and other cracked software since 2008. With over 500k users per day, it is one of the popular and trusted torrent sites among the visitors worldwide. Currently, it is blocked in over 15 nations but available with proxy and other domain names. It is easy to use, and the presentation of the torrent index and magnet link of the files is phenomenal, which makes it gain its name in top free torrent sites in the world. YTS (previously known as YIFY Torrents) is a P2P release group best known for distributing a large number of movies as free downloads via BitTorrent. It was popular among users as it was providing HD video quality in small file size. Official YIFY or YTS was shut down in 2015, still YTS.AM gains very high traffic. Initially, YIFY was the group which was encoding and uploading movies on ThePirateBay and KickassTorrents, but after seeing so much popularity and when it became the most searched term on BitTorrent websites. But currently, YTS is fulfilling all the demand of the visitors and striving to give the users what YIFY was providing. Torrentz.eu was a fast, free and powerful meta-search engine which indexed torrent results from various websites. But due to some reasons, it was taken down in 2016, and its unofficial stand-alone clone website named as Torrentz2.eu is right now online and providing all the features of the original site. In 2012, it was the second most popular torrent website. Its user interface is simple; users just have to type keywords and can find a list of matching torrent files. Torrentz2, initially, indexed 60 million torrents where users can link of other most matched torrent files. EZTV, a TV torrent distributing group established in 2005 gained very much popularity due to its qualitative contents. It provided torrent index and magnet links, but it was shut down in 2015 after a hostile takeover their official domain and claimed ownership of the brand. The new owners currently, operate from EZTV.io and releases torrent files there. Due to its controversial history, eztv releases are banned on some other torrent sites. EZTV.io has been gaining so much traffic in recent years, and it got the place in our roster of top free torrent websites in the world. Earlier known as Torrents.ru, RuTracker.org has become one of the most popular sites overall. It is the most searched and popular term in the torrent world, but it is mostly used and popular in Russia since it is available in the Russian language. But ruTracker.net provides the English as well as the Russian version of the website. Since 2016, RuTracker is facing a lot of problems and blockage issue in Russia and other parts of the world, so there are lots of mirrors and proxy sites of RuTracker torrents are available in the BitTorrent world. Despite being available in the Russian language, RuTracker is one of the most searched torrent sites in the world. Torrentdownloads.me is the best torrent site with a big database and offers a high quality of torrents, which makes it a great & first choice. The torrent files are presented in various categories which makes the searching process even easier. Users can rate torrent files and comment on them to put a review about the file. These things help others to check whether any particular file is real or a fake. It has gained popularity as some other reliable sites are being blocked by several nations, and this torrent site has been pushed forward in Alexa rank due to its high usage. You might not have heard about Zooqle, but it is one of the most searched free torrents to download free movies, TV Shows and games. It boasts more than 5 million verified torrents. The frequency of legitimate torrent files and the size of their database have had maintained its popularity among the users all across the world. The clean and simple user interface is the main reason to try this torrent. If you are new to the BitTorrent world, then you should definitely try this site. So it has become the must use the torrent site of 2019 so far. Torlock is a search engine and torrent index especially dedicated to TV series and movies. It operates with the purpose to provide only genuine and real torrent files. In order to maintain this, once they announced a program, in which every user is being paid $1 for every fake torrent they find on the site. It consists of more than 5 million torrents with providing various contents other than movies and TV shows like Games, Music, eBooks, Applications, Anime and many more. Introduced in 2010, it generated more traffic in countries like India, China, the United States, and Pakistan. It is banned in Australia, UK, and some other nations but you can always use its mirror link to access the whole site. iDope, a new launched torrent search engine that provides magnet links to direct download. It was launched in 2016, but still, it has gained the trust of the audience in a very little time. It generates the same amount of traffic like some other well-established torrent sites. It offers a transparent user interface and has a mobile version which makes possible to get torrenting experience on smartphones. With over 18 million torrent files database it has massive collection than some other popular torrent websites. No matter if you are a rookie or a master in the torrent world, but you must have heard the term Limetorrents. It is one of the most popular and significant torrent sites all around the world. The owners of the site also operate the torrent cache iTorrents that is being used by many other torrent search engines. This site has been the target of many nations’ regulations which lead to its blockage and still it is always available with alternative mirror links and proxy links. It garnered a lot of traffic last year, and it managed to get the place in our list of the top best torrent site of 2019. These are some of the finest and widely popular torrent sites across the world. If you have your favorite site which doesn’t appear on our list you can share them with our readers and us through the comment box. You can use them to download high-quality contents at your own risk as piracy is an offense. Share this article with your friends on the social media platform. If you have got any suggestion or feedback, then you can share it with us in the comment box.